Here at Aircore, we offer HVAC services in Chicago. Nowadays, most people don’t much think about their air conditioner until it breaks. That is neither a cost effective, nor comfortable, way to own an air conditioner, so we always recommend performing regular maintenance, and repairing damage as soon as it happens. 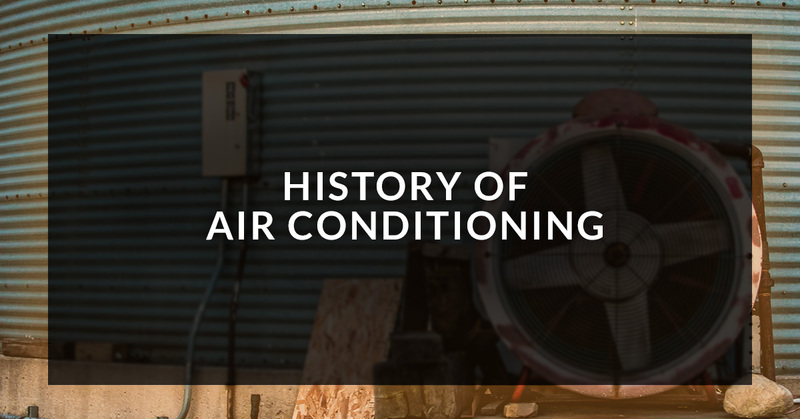 However, for most of history, air conditioners as we know them were not a thing. So how did people hundreds, and thousands, of years ago beat the heat? 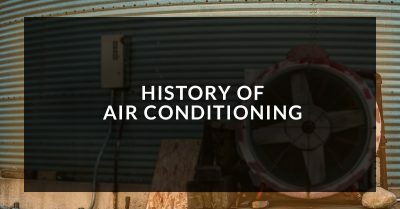 We go over the history of air conditioning here. Before air conditioning as we know it, there was evaporative cooling, which simply takes advantage of the cooling effect of evaporation to decrease the temperature of a room or building. The earliest known uses of evaporative cooling come from ancient Egypt. Egyptians would hang wet reeds from their windows, which would evaporate in the sun, cooling the air blowing into the building. This method also worked effectively as a humidifier in the dry Egyptian climate. Rome used a different method, wherein their aqueducts were circulated through and under the walls of the wealthy’s houses. The cool water would lower the temperature of these buildings through heat radiation. In Persia, yet another technique was used were wind towers would be built next to buildings in order to harness the energy for cooling. This worked much like a fan, although the fan wasn’t invented until the 2nd century by a Chinese engineer named Ding Huan. His rotary fan, which had seven wheels 10 feet in length, was powered by prisoners from the time. Modern air conditioning as we know it required some advances in the field of chemistry. Benjamin Franklin and John Hadley were to people who were necessary for this technology, discovering in 1758 that evaporation of volatile liquids (like alcohol), could lower temperatures to freezing levels. By the early 1900s, due to the efforts of one Stuart W. Cramer, the modern air conditioner was invented, however it was much bigger and more expensive than the models of today. At that time, it was almost exclusively used in printing presses and other businesses where humidity needed to be controlled (another function of air conditioners). Mr Cramer created the Carrier Air Conditioning Company of America, and the rest is history. However, it would not be until the 1920s that air conditioner technology became viable enough that it started seeing use in most residential areas. It was at this time that there was a great migration to the Sun Belt within the US. Hopefully this article proved informative. If you are looking for an HVAC company in Chicago, then Aircor is the company to call! We put total effort into all of our HVAC services, so your job is done right, on time, the first time. For more information, please do not hesitate to give us a call. One of our friendly and knowledgeable representatives will be happy to answer any questions you may have.